Should I Finance My Lawn’s Makeover? When your lawn needs a complete makeover, you may be desperate to get it done no matter what the price. But what if you don’t have the cash on hand to complete your landscaping? There is a lot of information out there about whether you should finance your landscaping services. Blooms Landcare is happy to assist you in determining the best way to pay for your lawn’s makeover. Here are some things to consider when paying for your lawn’s makeover. Having a good-looking lawn isn’t just aesthetically pleasing, but it can also be an investment in your property. With attractive landscaping, you can make your money back. This is especially true if you are thinking of selling your home. You can ask for more money that will cover your landscaping costs and then some. 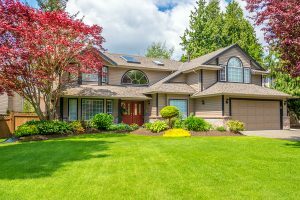 Along with your yard looking professional, clean, and trimmed, you may experience other benefits of having a lawn makeover. Property values increase, salability of your home increases, and never doubt the value of a great first impression. These all may be worth financing your lawn’s new look. If you have decided to finance your lawn’s makeover, you are probably wondering what kind of financing to choose. There are many different options including credit cards, unsecured loans, and home equity line of credit. Your choice will depend on how extensive your landscaping costs will be. For smaller projects, a low-interest credit card or unsecured loan may be enough. Thoroughly research your options and choose the one that makes the most financial sense. If you are interested in a lawn makeover at your home or business, call the landscaping experts at Blooms Landcare today. Call (817) 688-5352 to schedule your professional services today! Previous Previous post: How to Install Interlocking Paving Stones? Do I Need to Hire a Professional to Do That?